Bioderma Teaching Skin to Rehydrate Itself?! Hello, lovelies~ I have been a fan of Bioderma's micelle water since I tried cleansing my face with it back in 2012. It has been one of my holy grail skincare items due to its ingredients that is free from fragrance that tend to irritate my face. However, I'm not here to talk about the Sensibio line from Bioderma. Nope. 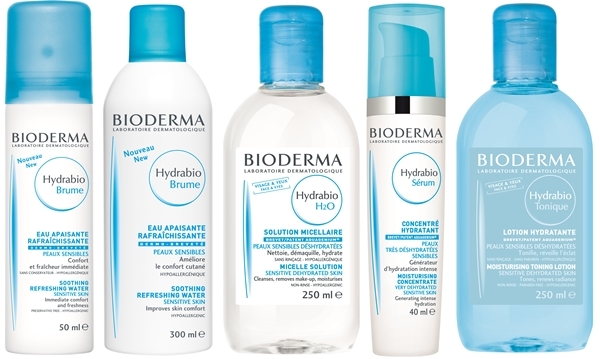 There's a new kid on the block, Bioderma block, and its name is Hydrabio. It claims to hydrate the driest skin by stimulating the synthesis of aquaporins and inter-corneocyte lipids, so that the skin's Natural Moisturizing Factor (NMF) is able to do its job in moisturizing the skin. Pretty cool, huh? They have a wide range of skincare products, ranging from cleanser, toner, serum and a water spray. This looks nifty for giving instant moisture to the skin any time, anywhere. I can't wait to try the spray! In the mean time, while we wait for the Hydrabio range to hit the shelves, here are a few tips on taking care of you dry skin. Can't wait to try this baby! Keren banget kayanya ya yang bisa dilakuin dia.